GTDT are pleased to announce our summer programme of activities for young people aged 8 - 12 years. We will be running a range of different activities in our centre at 129d Lodge Lane Monday - Friday 9.30am - 12noon during the school summer holidays. But we are also running activities at Riverview Development Trust, 109 Upper Mann Street from 1pm - 4pm, Monday to Friday as well. 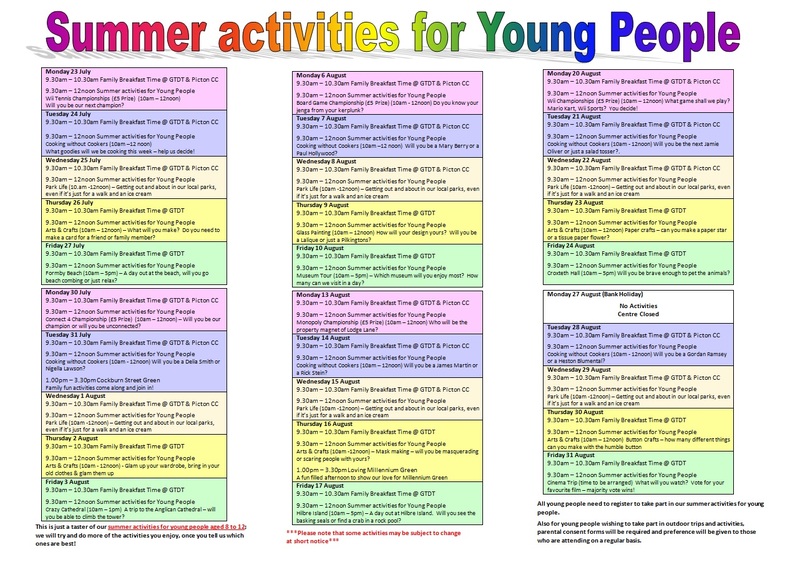 Below is the provisional programme for GTDT's summer activities.